I am a homeowner here in New Hampshire. 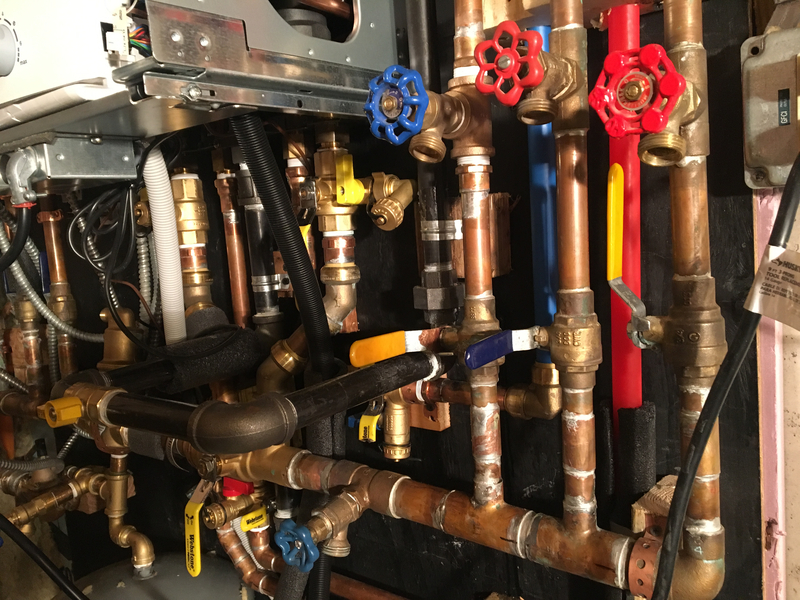 I found this site very helpful during my recent installation of a condensing boiler, and I hope someone can offer some insight to a problem I'm having after commissioning. Bosch Greenstar combi 100 boiler, model ZWB28-3A. 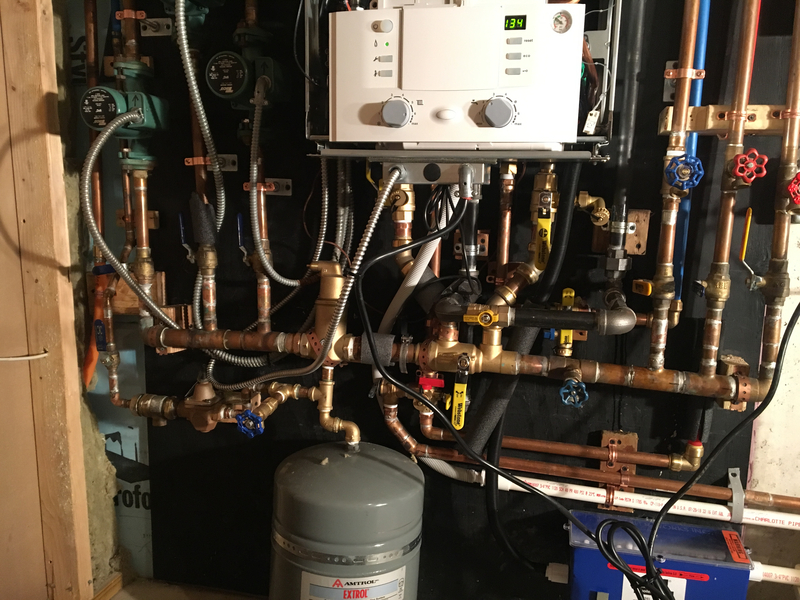 3 zones with Taco IFC pumps on the supply side of the secondary plumbing, and regular thermostat/relay control. I followed the installation and applications manual very closely, but I'm having an issue when I open the Webstone tee to allow the primary/secondary flow to happen. 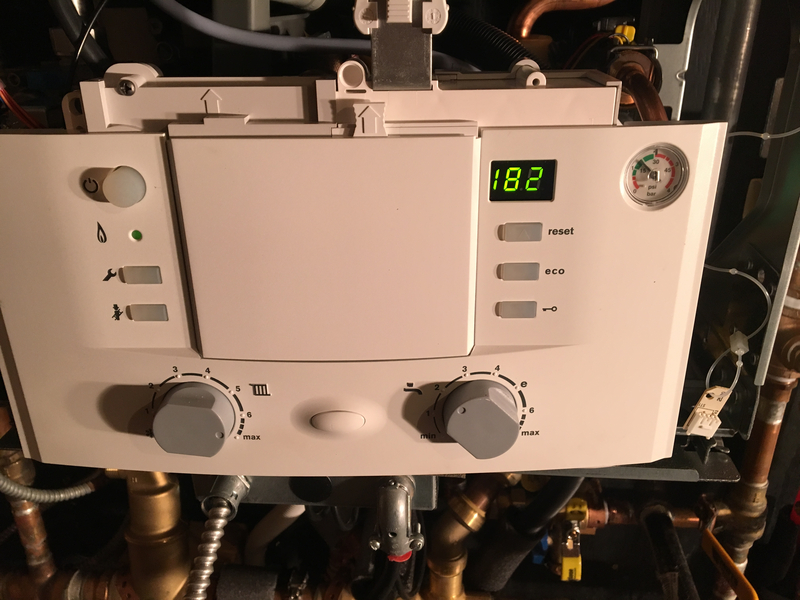 When I have the tee closed (see pic), and only have 1 zone open (remaining zones shut off via full ball valves), the boiler works awesome and heats either zone up quickly and maintains the temperature very well. 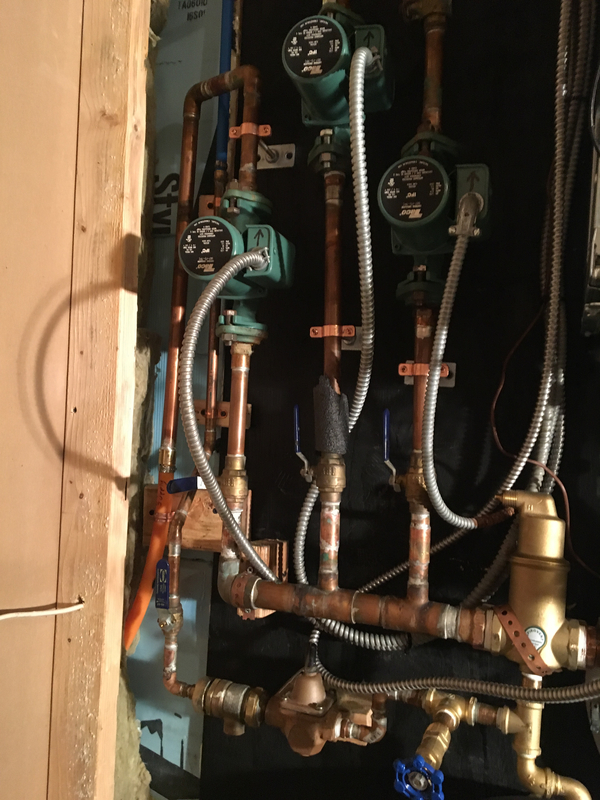 When I open the tee valve to allow full primary/secondary functions with multiple zones, the flow seems to bypass the boiler and flow only in the secondary circuits. The temp reading on the boiler says 190 degrees +, but the pipes cool down and no heat is produced, and the flame icon goes out on the boiler. It's almost like the internal pump on the boiler is not running so the water takes the path of least resistance and bypasses it altogether. When I close the tee valve to force water through the boiler, it again works great. No fault codes are ever displayed. Some background info: I bought the unit secondhand, but it was new in the box and never installed previously. 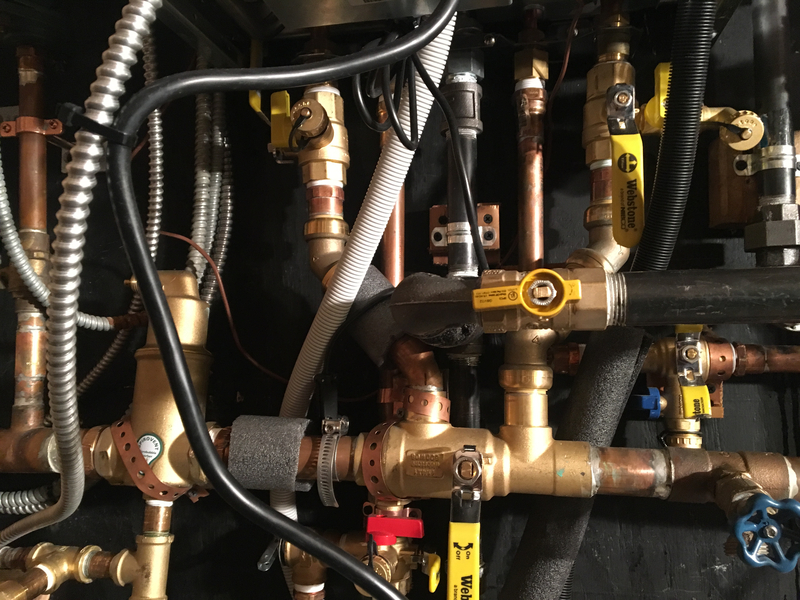 I am not a licensed plumber, but in NH you are allowed to perform these types of functions on your personal house that you occupy, and I've worked as a plumbing helper for many years in my younger days so I do know the basics of plumbing. I've gone through the manuals and searched online, but any issues with any similarities has to do with the plumbing done wrong and no primary/secondary tees installed. 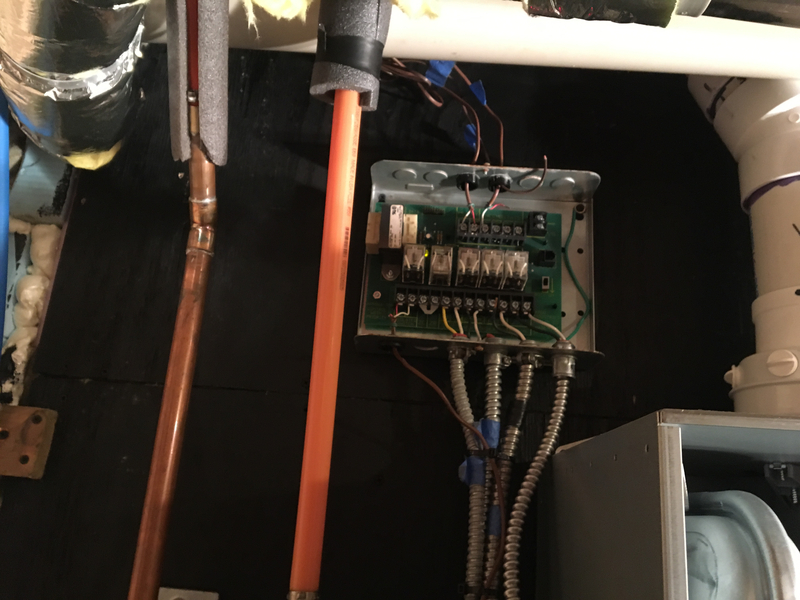 Since it is essentially a brand new unit, I would not think the internal boiler pump failed right out of the box, but I am not sure how to verify it's operating correctly. I wonder if there's some kind of special set up configuration, but all the manual says is there is a way to adjust the pump speed if needed. Thanks in advance for any help before I have to call in a professional who is experienced with the Bosch boilers. Some times the internal pump binds up from sitting. It's happened to me. Pull the silver plug and confirm that the internal circulator is rotating, if not free it up and it should be fine. There is also a bleeder inside that needs to be purged. Boiler pump maybe stuck, may have to remove the motor and make sure the propeller is free. I took off the silver plug and I tried to spin the impeller, but it did not move and seemed to be stuck. Just to be sure, we are talking about the plastic piece with a square like hole in the center, correct (see pic)? It seemed like an awkward shape for a small straight slot screw driver to fit into and I didn't want to force it, especially where it's new. Also, I tried to bleed the "Automatic Air Vent" (green cap), but nothing came out. I assume water should come out? 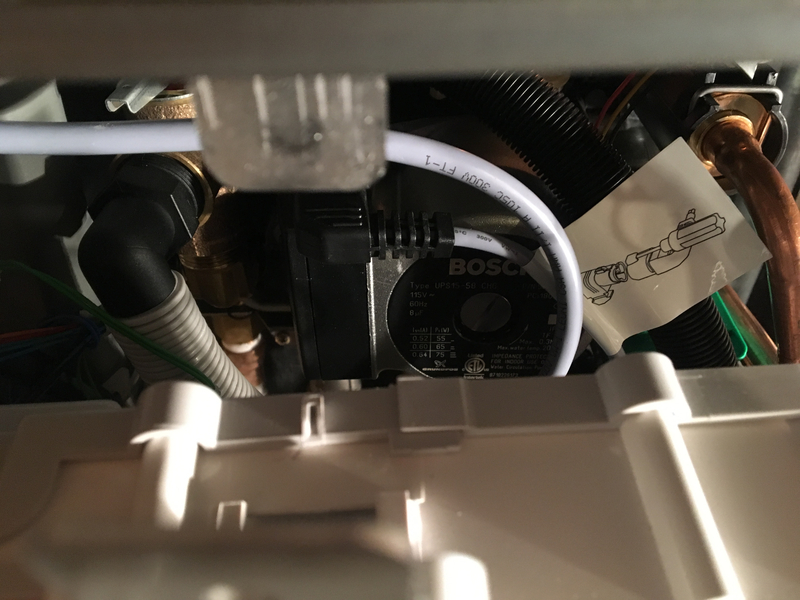 And when I took the silver plug out, only a small amount of water would come out, even when I opened the boiler shut off valves ... could there be a blockage in the pump? Lastly, I put the boiler in "Service function 2.C: Purging function" which is supposed to operate the pump off and on for 4 minutes, and although I heard a relay click off and on for that time, the pump never spun (I left the silver plug out while I did the purging function. I do hate to have to pull that pump off as there is not much room to work in there ... any ideas? Thanks again, this is a great resource. If you can't turn the center shaft, you will have to take the four allen screws around the pump out and remove the motor head only. Impeller should come with it. Spin it till it is free. Drain the boiler first. Well thanks to all who commented, and sure enough the problem is fixed! I pulled the pump motor/impeller off the housing, and sure enough the impeller was stuck a bit, but a quick spin by hand and it was freed up and spinning nicely. Put it back on, re-filled boiler, performed a couple purging cycles, and all zones are working great now with the primary/secondary tee open! Apparently this is more common than you would think, even with a new boiler, as Bosch has a Bulletin out on this very issue (I've attached in case anyone else was interested). 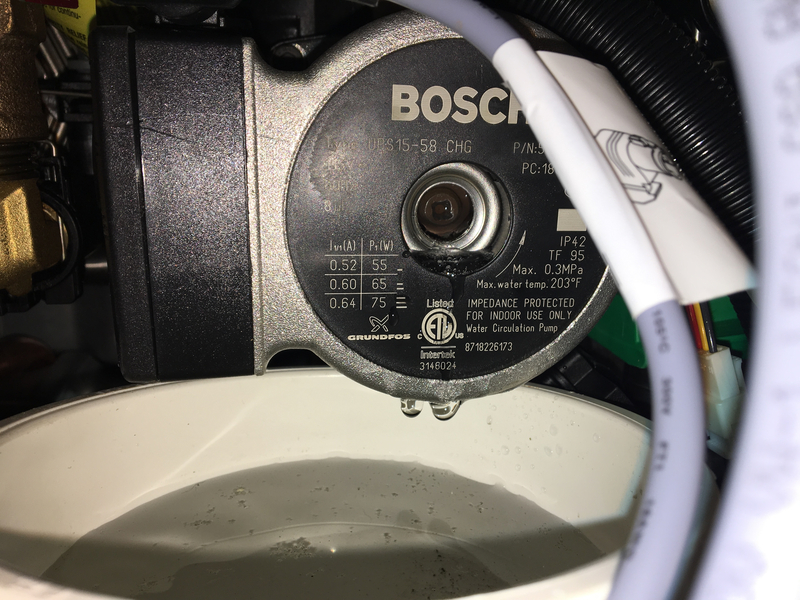 Grunfos uses the same pump in the Lochinvar, and the same issue occurs there also...… Glad it's going, have a combustion test done and leave the results inside the boiler for future reference. Yes I saw the Grunfos part number was the same as the bosch for the motor/impeller, although the pump housing is pretty different. I don't have the test equipment to do the combustion test or the inlet gas pressure test, so I will most likely call in a plumber or have my propane company do it.